This ancient saying by ancient Chinese philosopher, Lao-Tze has been reiterated by Chinese educators for centuries to illustrate the essence of teaching. More recently, it has been used in philanthropic circles to the point of cliché. It’s not hard to see why, as it conveys the core value of philanthropy – helping people to help themselves in a sustainable way by solving their own problems. But the dire needs of disadvantaged groups often means that direct provision – giving fish – is the first thing philanthropy does and the challenge of when and how to make the shift from giving fish to teaching fishing has seldom been successfully met by grantmakers. In China, as elsewhere, there have been numerous projects that start with supplying fish and ended with… supplying fish. This has resulted in a dependency syndrome for grantees instead of building their capacity. Why is that? The fish tank; where you swim round the tank and end up at the same place! When asked, many grantmakers would attribute their failure to the pressure of time and the lack of resources. 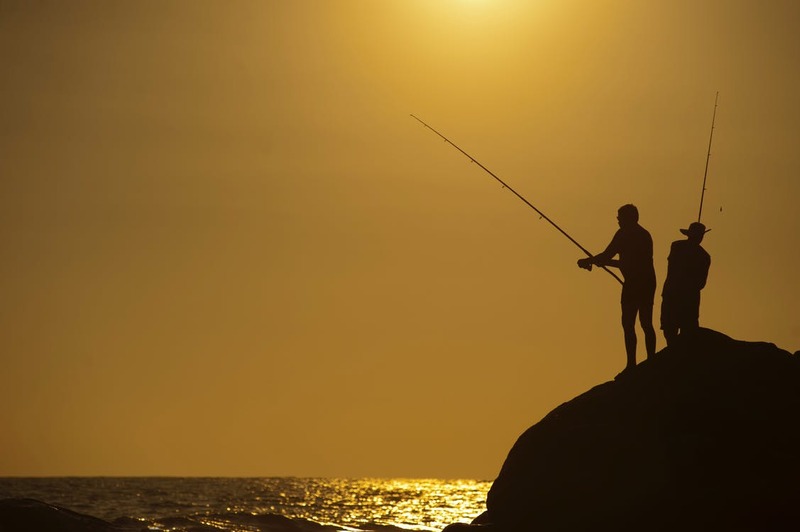 Other grantmakers put the onus on grantees and beneficiaries, blaming their inertia and reluctance to change as the reason they don’t learn to fish. Still others lament the missing policy framework and technical assistance or the lack of coordination of stakeholders – more favourable conditions for fishing. While there may be some truth in these explanations, which are often beyond grantmakers’ control, a more useful and realistic approach, in my opinion, would be for those of us working in Chinese philanthropy to look inwards, examining the manner in which we work with others and reflecting whether we have done a proper job of teaching the art of fishing. Generally speaking, there are three major reasons for that failure. The first is a lack of serious effort because of the absence of incentives for many grantmakers. Giving fish is simple, fast and brings direct results; whereas teaching grantees to fish is difficult and often takes months and years to see the effect. Its value can vary tremendously depending on whose point of view you are looking from and it requires effort and patience to nurture its development and appreciation. Meanwhile, facing the time and budget constraints to deliver, the need of the disadvantaged for immediate relief, plus an increasing organizational pressure for bigger impact, grantmakers are often compelled to act fast for visible effects. What was first the convenient choice to meet a deadline has now become a habit. Giving fish gets the job done, so the art of teaching fishing can wait. Tightrope walkers, much like grantmakers, need confidence and conviction. The second reason is a lack of conviction among grantmakers in the wisdom and capabilities of the people whom they are there to help, which is why, so grantmakers think, they are disadvantaged in the first place. Throughout grant negotiation and implementation, grantees are micro-managed to follow the instruction of their teachers, the grantmakers, who justify their action by saying it is to reduce the risk of failure. However, behind that justification, is not only a lack of faith, but also uneasiness at letting go of the power to control. Grantees therefore never get the opportunity to do real fishing and have little idea of how to go about it once their teachers are gone. The third reason is that grantmakers themselves, even if they wanted to, often don’t know how to do it. This is especially true in China, where the philanthropic field has been growing in leaps and bounds. The total number of foundations has more than doubled from 3,029 in 2012 to 6,383 in 2017. Most of the grantmakers in these foundations are in their late twenties and thirties with limited work experience. They are still learning how to fish themselves and find it difficult, if not impossible, to teach it. So what would effective teaching, and enlightened grantmaking, look like? In my experience, a grantmaker needs not only the technical skill of finding and solving problems to help those in need, but also a great amount of knowledge of the local conditions. Teaching also needs a different set of skills. Is it more important to lead and grow or to learn and share? Apart from time and effort, it requires proper methods and know-how, and above all, a proper attitude towards the role of grantmaker and the mandate of philanthropy. Is the grantmaker there to teach and lead or as a partner to share and learn together? Because, like it or not, teaching involves a power relationship. On one side is the grantmaker, who has the funds and the authority to decide how to use that money. On the other side are the grantees, who are there to listen and follow. If care is not taken, the grantmaker’s well-intentioned teaching effort can easily degenerate into one of simple supply, depriving the grantees the opportunities to learn and grow. Even a seasoned grantmaker working on a new grant has to spend time to get to know the people and problems first. In other words, the grantmaker is not there to teach and give orders, but to listen to the grantees and identify the problems before sharing their experiences. Consider the following example. A middle-school classroom in China. The fast growth of the economy in China has seen many farmers come to work in cities for a better life for their families. Many of them have brought their children to urban schools for a better education. The central government has issued a decree requiring public schools to take the majority of these migrant children (80%). However, some of the children complained to their parents and wanted to move to a different school, saying their homeroom teachers ‘dislike’ (the concept of discrimination is difficult for kids to articulate) them. When the teachers were questioned, they all denied this. Around this time, a group of researchers came to me, applying for a grant to help migrant children studying in public schools in Beijing. As a grantmaker working on education, I knew the problem was true, but I had no idea of how to help the grantees solve it. In the end, I decided to give them a grant on the condition that the solution met three criteria: innovation, sustainability and replicability. In addition, I gave them two pieces of advice. One was they should seek the solution from facts, rather than theories, and the other was to take a participatory approach by involving all the key stakeholders in the implementation. Although I helped them organize a few planning meetings by mobilizing different stakeholders and also made occasional phone calls to the grantees as monitoring, I left them in the driver’s seat. When I went to make the first visit to one of the schools 18 months later, I met the headmaster and a group of teachers as well as other stakeholders. They told me what they had learned and gained from the grant. I was especially impressed by a fourth-grade homeroom teacher, who related how the grant had helped her deal with the problem of discrimination. Making sure everyone is involved in the learning process. ‘A year ago, the researchers came to our school. Instead of telling us what to do, they gave us social science books to read and asked us to keep a diary of our activities with migrant children and where we could improve. I went home and read the books and began reflecting. As a teacher, I know discrimination is wrong and since I never swore at nor struck any pupil, I do not think that I can be accused of discrimination. However, the specialists’ talk and the books made me think more deeply. If I am honest with myself, I must admit that, deep in my heart, I do like local (Beijing) pupils more than migrant pupils. This teacher had found a way to help herself overcome the difficulties and, like her, the entire school was mobilized to look for ways to improve their work and help migrant children. The school did so well that Premier Wen Jiabao made a visit to the school and unveiled an inscription there: ’Under the same blue sky, let’s grow up together’. This inscription has set the tone for policy changes on migrant children’s education since then. As grantmakers in China, I realise that our job is to learn together with grantees, beneficiaries and other stakeholders. Just as knowledge of fishing comes from collective wisdom and cooperation, there is much we can learn from our partners. The course of grantmaking in China should become an empowering process for all parties. He Jin served as a senior Program Officer in the Beijing office of the Ford Foundation from 2001-16, where he was in charge of a portfolio focused on access and equity issues in education. Before joining the Ford Foundation, he was Sector Coordinator for Human Development at the World Bank Resident Mission in Beijing, responsible for education, health and social protection projects. Prior to that, He Jin was the assistant resident representative (1994-2000) of the United Nations Development Program, Beijing Office, taking charge of social and rural development projects. He Jin obtained his PhD in education from Stanford University, and worked as a researcher at the World Bank in Washington DC before he returned China. Today, He Jin sits on the board of several Chinese foundations, and is on the faculty of the China Global Philanthropy Institute.